At The Bank Dental practice we deliver first class services from the initial consultation through to your post treatment care program and ongoing advice, you can be sure you are in safe hands. If you’re looking to achieve smoother, softer skin Anti wrinkles injections can provide an instant lift by restoring lost volume in areas of the lower face, effectively treating moderate to severe wrinkles and folds. And it will continue to work with your body, stimulating the natural production of collagen for a more refreshed appearance that can last up to a year or more. A Depending on the type of filler, the effects can last anywhere from six months to two years; for semi-permanent or permanent fillers, the effects can last up to five years, and there are reports of even longer-lasting results. Don't confuse dermal fillers with Botox. What is dermal filler for lips? A Hyaluronic acid is a natural substance found in the body. It helps increase volume in your lips. These types of dermal fillers are sometimes called "hyaluronic acidfillers." Collagen, once the most common dermal filler, is used less often today. What are the side effect of Dermal Filler? A Problems with most dermal fillers are extremely rare. Temporary fillers, such as hyaluronic acid or porcine collagen are very safe and rarely cause any problems. If you have had any cold sores in the past these can break out again after treatment so you should alert you practitioner to this during your consultation so they can prescribe medication to minimize this risk. Most negative side effects of fillers are manageable and can be dealt with by your practitioner. If you have any concerns following your treatment contact them to talk through your concerns. What can I expect after a Dermal Filler Procedure? A After filler injections you can be quite red and swollen and in some cases you may be bruised. You may also get bleeding around the injection sites. The extent of the swelling and redness you experience can depend on a number of factors including practitioner skill, the area being injected, the type of product being used and the amount of product being used. These side effects can last for a couple of days but can be disguised with make-up. The post treatment advice you are given will vary depending on the product you are having and the area being treated. Make sure you follow the advice given to you by your practitioner carefully. Ice packs, or even a bag of frozen vegetables, can be useful to help reduce swelling and post treatment pain can be managed with painkillers. 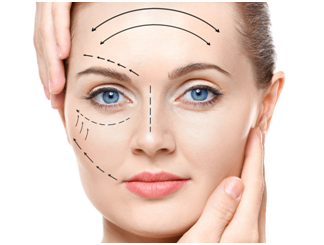 Botulinum Toxin injections are very effective treatment to reduce lines and wrinkles on the forehead, frown lines and face. The treatment itself takes around 15 minutes to complete and after the treatment, you can drive or head back to work immediately, no recovery period is needed. It is an extremely safe procedure. A Some patient’s report that being injected with BOTOX Cosmetic feels like a pinch. Your specialist may use ice to numb the treatment area. If you are concerned about discomfort, your specialist may apply a topical numbing cream before administering your treatment.